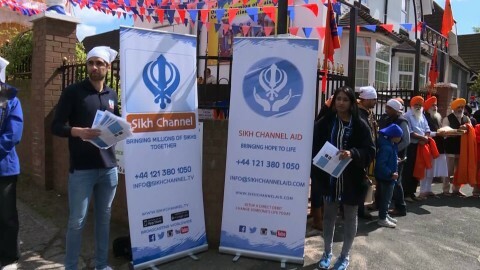 Sikh Channel Aid were in Peterborough on Sunday 14th May attending their annual Faith and Food Festival. What a fantastic time we had! It was lovely to meet other charitable organisations inspired by different faiths which work to make the world a better place. It was also great to hear what other religions teach about charity. We got the chance to talk about Sikhi and what the Sikh faith teaches about charity and sewa. You can catch the show on Sikh Channel on Monday 22nd May. Thank you very much to Dr Jaspal Singh for inviting us to the festival and we hope to come again!! As you know we are very involved in children’s education and helping those in poverty as much as we possibly can. The next project we’re working on is a charity dinner and dance!! This will be on Saturday 10th June in London and all funds raised will go to our charity. There is going to be guest performers, guest speakers and lots of unlimited buffet food. Keep your eyes peeled for further information on how you can purchase a ticket and get involved!! Have you been struggling to balance work, exercise, and social activities? Are you struggling to maintain your overall well being? We had a fantastic guest called Rosie Naseer in on the Sikh Channel breakfast show which may be able to help you. Rosie has come up with an idea to help organisations promote overall well being within them. The outcome is to have more time and less stress when tackling work and life. Please check out the website www.workplayfit.com for further information or details on how to get in touch with Rosie if this is something you would like to implement within your organisation. Pind Jhangola Water Treatment Plant Now Open!! The village of Jhangola in Delhi, India had been practically left with no resources and to fend for itself after the India/Pakistan partition. 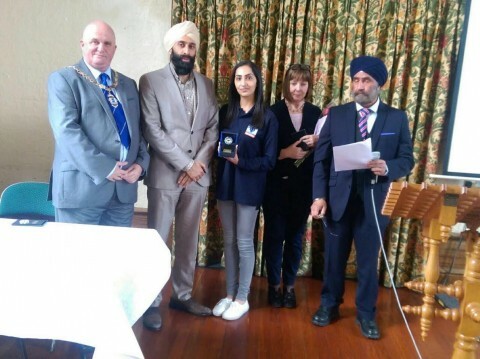 Sikh Channel Aid have branched out to the community of Pind Jhangola to identify their needs and support measures. The village does not have clean water that is safe for consumption. 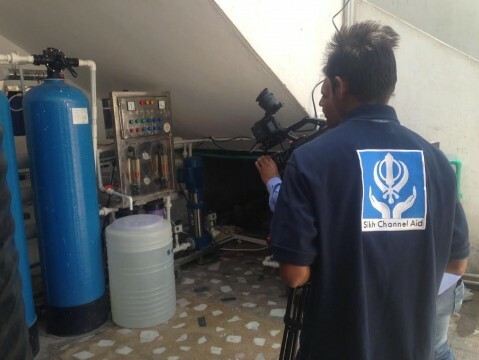 We are very proud to say that with our aid work and the support of our donors there is now a fully functioning water treatment plant which has been installed at the village Gurdwara. Thank you very much and we have many more sustainable solutions for the development of Pind Jhangola to come with the ongoing support of our supporters. There are 58,000 refugees stranded in Greece currently waiting for asylum in Europe with more people arriving from conflict filled countries such as Syria and Afghanistan each week with no belongings. With no heating or adequate supplies, 38,000 of these men, women and children are living in camps and are unprepared for the cold winter. We are currently running an appeal asking for donations of winter/hiking boots and warm winter clothing particularly warm coats in small and medium sizes for adults and teenage children. These can be used but must be in very good condition. Sikh Channel Aid donated £60,000 to in order to provide shelter and aid to the people of Nepal after the 2015 earthquake. During this time, the international Sikh community mobilised to provide assistance to Nepal in various forms. 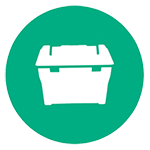 SCA had then identified ShelterBox as the most appropriate medium to assist the international emergency relief effort. SCA supporters had assisted the relief effort with an initial donation of £29,500 to fund boxes for Nepal. The donation formed the first phase of the SCA Nepal relief project, which was then followed by additional donations to ShelterBox along with construction projects and medical assistance.